Looking for Redondo Beach Homes For Sale? You found the Right Place! 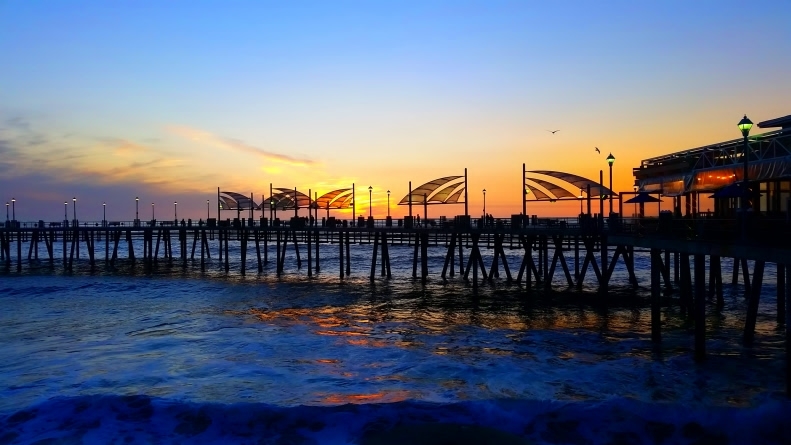 The beach, the warm sun and its laid back lifestyle have made Redondo Beach, California one of the most sought-after cities in the South Bay real estate market. In recent years, the prices of homes for sale in Redondo Beach have been on the uptick, as buyers from neighboring beach communities have looked for other options. The median home value in Redondo Beach is $920,000, an increase of 7.8% year to date and the prices of homes for sale in Redondo Beach are expected to climb another 1.7% within the next 12 year. Although this is technically a seller’s market, it doesn’t feel like it. Perhaps you noticed all of the signs in the yard and open houses. At Xavier & Xavier, so have we. With so many homes for sale in Redondo Beach on one hand and rising market prices on the other, what is at play? The obvious trend is that rising prices have enticed home owners to list their home, but market demand has not kept up pace with homeowners attempting to capitalize on the upswing. In other words, more homeowners arrived at the price that motivated them to start packing. Then, a dose of reality set in, as buyers seeking homes for sale in Redondo Beach suddenly had more opportunities to choose from. The negotiations returned to a more level playing field with many homes not selling at or over the asking price. Today, sellers face the risk of downward pressure on price if more inventory hits the market. For buyers, there is the looming possibility of higher interest rates, preventing them from affording the current or slightly reduced prices of homes for sale in Redondo Beach. The market is always changing, but overall, the conditions are ideal right now whether you are buying or selling, and Sam and Bindu Xavier, Realtors with RE/MAX Estate Properties looks forward to exceeding your real estate expectations. ca dre #01449986 & 01818247. Buying Redondo Beach Real Estate Made Easy! Buying your home means thinking smart as this is one of the biggest investments of your life. Begin with hiring an experienced local Real Estate Team that can help you locate and buy a house in Redondo Beach. It is crucial to inspect your new house before you are handed the keys to know exactly the current condition and any repairs that are needed. You should also know where the property lines are located and this will prevent any future disputes with your neighbors. Additionally, get a preliminary title report and look to see if there are any liens or back taxes owed on the property. All liens including tax, mortgage and trust deeds need to be re-conveyed prior to transferring ownership when your escrow closes. Do not make it an obsession to time the local real estate market for the best time to ourchase your next home. It is hard to predict the highs and lows of the local housing market. The ideal time for buying a house is when you find your dream home and are able to afford it! The real estate market is unpredictable and you cannot anticipate when the price of properties for sale in Redondo Beach will go up or down… So instead of trying to time the market, devote your time to hiring an experienced Realtor to represent you with your purchase and your agent will be very instrumental in locating good values on local houses, townhomes or condos for sale in Redondo Beach and inform you of the best public schools and locations for you to live and raise your family. Large numbers of people are drawn towards big houses. But when it comes to the purchase of your home, bigger is not always better…You should not buy the biggest Redondo Beach house in a neighborhood of smaller homes. This is due to the fact that market values of the smaller houses will ultimately bring down the value of the bigger houses in the neighborhood…When you plan to resell, there will be limited pool of buyers willing to pay above market prices for your mansion in the land of smaller houses. If you purchase your next Redondo Beach home on the basis of your emotions, you are sure to make some bad financial decisions. Always remember the fact that buying a home is making the biggest investment of your life. So, it is crucial to make your decision after much considerations and analysis of your living and buying needs. Just purchasing a home by liking its architecture or room sizes is not the right decision. Instead, think clearly and consider each and every aspect before making your purchase. Sam and Bindu Xavier are experienced licensed Realtors and will guide you through the complete home buying process and locating the best real estate to buy in Redondo Beach! Summary: Buying a Redondo Beach home is going to be the biggest investment of your life and you need to make your decision wisely. 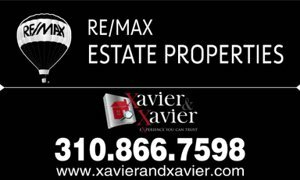 Hire Xavier and Xavier at RE/MAX Estate Properties and Sam and Bindu have the dedication you need and experience you can trust for all your Redondo Beach Real Estate needs. Visit Us online today at www.amazingsouthbayhomes.com or call 310-866-7598. CA DRE #01449986 and 01818247. Looking to list and sell your inherited family home in the South Bay or surrounding area? You found the right place! Sam and Bindu Xavier are full time licensed Realtors with RE/MAX Estate Properties and we can assist you list and sell your inherited real estate in a trust or probate matter for top dollar or you can sell it quickly to an investor for ALL CASH with reduced commission structure and 10 day close! When selling to an investor, the condition of the property does not matter and they will most likely rehab the property for a new family to own and live in the house. Xavier and Xavier is your number one resource to educate you about options available for liquidating inherited real estate in Torrance, Redondo Beach, Palos Verdes, RPV, Hawthorne, Hermosa Beach, Lawndale, Lomita, and the Greater South Bay Area. For details, please visit us at www.probatetrustagent.com Today! Xavier & Xavier’s 1st Drone Video Tour in South Redondo Beach for our New Listing at 850 Avenue C ! 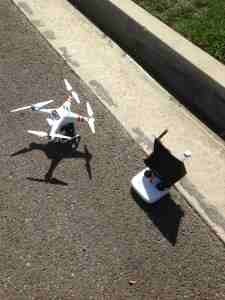 Actual Go Pro Drone with Video Camera Attached and Our Remote Control and Battery Pack with 15 Minute Flight Time per Charge! 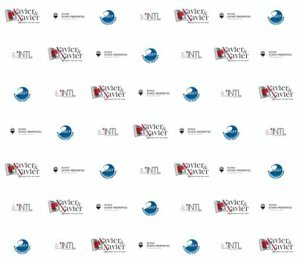 High Tech Drone Aerial and Video Coverage NOW AVAILABLE exclusively from Xavier & Xavier! We provide home sellers a high tech marketing option for drone aerial coverage of their home plus interior home video keepsake to cherish all your memories after your sale is completed! We will even cover aerial views of the Esplanade and the Pacific Ocean or any aerial coverage within a mile radius of your home and it is included in our drone video marketing package option. Please contact Xavier & Xavier today if you would like your home digitally marketed and advertised via our latest drone aerial coverage for Luxury Listings in Redondo Beach, Palos Verdes and Torrance and the Greater South Bay Area! This has been proven to get our luxury home seller’s maximum value and multiple offers in a shorter time period than just standard photo slide show virtual tours on the MLS. It will also help you market your property to out of the area buyers and international buyers PLUS we also include extensive SEO and keyword search optimization on our drone videos we produce for your property to be found on the front page of Google and Yahoo for drone aerial video home tour searches all over the world! 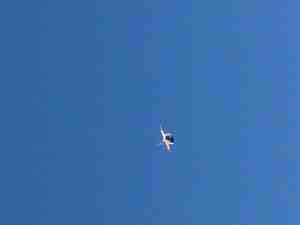 We have our Drone Pilot and our Video Marketing Team ready and we can schedule your aerial and tour of your home and produce your keepsake video within a record 48 hours from initial flight time! If you and your family members would like to be in our drone video we will provide it Free of Charge when you list with Xavier & Xavier and this is one of the best family keepsake to enjoy after we sell you house and close escrow. Extra Bonus Feature: If you have a SMART TV or WiFI connectivity we can even show our drone aerial tour and interior home video tour during your open house and further educate buyers to know more about your neighborhood, school and landmark proximity, parks, shopping and your overall community landscape! Part of Our Blog : Xavier & Xavier Life in South Redondo and the Riviera. For an actual drone video click here : http://vimeo.com/108458411 Also on the second slide on our home page main slide deck! 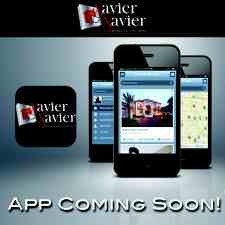 December4, 2013, Redondo Beach, CA Xavier & Xavier is pleased to announce Mobile App for Android Devices. Xavier and Xavier is proud to announce to be the first local South Bay Real Estate Agents with their very own Mobile App for Google Android Devices! You can download to your mobile device and search for properties, schedule a viewing, calculate your monthly mortgage payment, get your home value instantly! Xavier and Xavier Realtors Become RBEF Business Partners! November 18, 2013, Redondo Beach, CA Sam and Bindu Xavier, local Realtors with RE/MAX Estate Properties since 2005 announce their new strategic alliance with the Redondo Beach Educational Foundation RBEF. We are committed to local schools and education and will donate $500. to RBEF for every closed buyer or seller real estate sales transaction in the City of Redondo Beach! “We hope to be very generous RBEF corporate sponsors and donate at least $5000. to RBEF in the coming 2014-2015 school year and beyond!” said Sam Xavier, Realtor. “Our commitment to excellence, countless work ethics, local market knowledge and expertise and our strong desire to give back to your local community made this new partnership possible” Bindu Xavier, Realtor stated. Bindu and Sam Xavier serve on the Tulita Elementary School PTA Board, where they have been PTA sponsors for many years! Our son Sammy started attending kindergarten at Tulita Elementary School back in 2007 and daughter Briana started at Tulita in 2010! Sammy is now a 6th Grader at Parras Middle School in South Redondo Beach. Visit: www.redondoreporter.com/rbef for more details and you can also search all active sold and pending homes for sale in Redondo Beach where we reside and specialize in helping all existing and new residents! If your ready to list your home to today call 310-866-7598 and we will get your home sold in no time! About Xavier and Xavier: Established in 2004 Sam and Bindu Xavier are seasoned real estate veterans and sold over 180 houses in the past decade! Xavier & Xavier specialize in assisting you pre-market, list & sell your house or investment properties, getting you the highest exposure in both print and online advertising and ensuring multiple offers and the highest possible sales price! Sam started out as a Buyer’s Agent focused in Redondo Beach, West & South Torrance and has represented numerous clients locate and purchase 1-4 unit properties throughout the Greater South Bay Area! Previously a stay-at-home Mom, Bindu naturally transitioned into real estate as she and Sam realized the family-focused approach that was lacking in the community and began to assist buyers in building their financial futures with that in mind. Xavier & Xavier believe that a realtor’s role requires a personal approach – listening, managing and consulting clients on the complete picture to make the best informed decision for their families. Call Us at 310-866-7598 for Sam Xavier or 310-658-1991 for Bindu Xavier. Xavier and Xavier is proud to announce to be the first local South Bay Realtors with their very own Mobile App for Apple Devices! You can download to your mobile device and search for properties, schedule a viewing, calculate your monthly mortgage payment, get your home value! We have more inventory going into the second quarter. As of May 8, 2013 we have 37 active SFR’s on the market ranging from $655K- $2.995M. 12 active townhouses ranging from $650K – $1.799M and 11 condo’s ranging from $460K-$869K. Prices are continuing to rise each month. There were only 7 closed SFR’s in April and were all standard equity sales. 13 townhomes closed and all were standard sales. There were 9 condo’s that sold, 8 being standard sales and 1 Probate Sale. As you can see distressed sales are now non existent. Average days on the market for SFR’s were 31 days down from 41 days on the market, townhouses 41 days significantly down from 68 days and Condos, 56 days down from 81 days on the market in March 2013. As you can see time to market is much lower than previous months this year and we are continuing to see multiple offers over asking price on most all South Redondo properties! We are currently in a seller’s market and we still have a shortage of housing inventory in South Redondo Beach. If you are considering listing your home for sale please contact Xavier and Xavier for a free custom market analysis to get your home listed and sold quickly and smoothly! Thank You, Sam and Bindu Xavier, Your South Redondo Real Estate Specialists. Sales have made big leaps from year-over-year levels. Existing-home sales are up 9.7 percent compared to one year ago. Sales are at an annual rate of 4.97 million, which is the highest level since November 2009, according to NAR. Despite constrained inventories and recent price gains, home sales continue to post increases. Non-distressed home sales are increasing. Home buyers are showing high demand for non-distressed homes. In April, about 18 percent of sales were in foreclosure or a short sale — down from 28 percent year-over-year. Inventories have increased. In April, the number of homes for sale rose 11.9 percent from March. The limited supply — mixed with rising buyer demand — has helped home prices to rise around 10 percent year-over-year. “Rising inventory should ultimately slow some of the price rally while boosting sales volumes, helping to restore equilibrium in the housing market,” The Wall Street Journal reports. Homes are selling a lot quicker. About half of all homes that were sold in April were on the market for 46 days, down from 83 days one year earlier, according to NAR data. Call Sam Xavier today at 310-866-7598 or email samxavier@remax.net for a free no obligation presentation on selling your home for Top Dollar! South Bay Homes:Sam Xavier the interview. Curious About Local South Bay Real Estate?